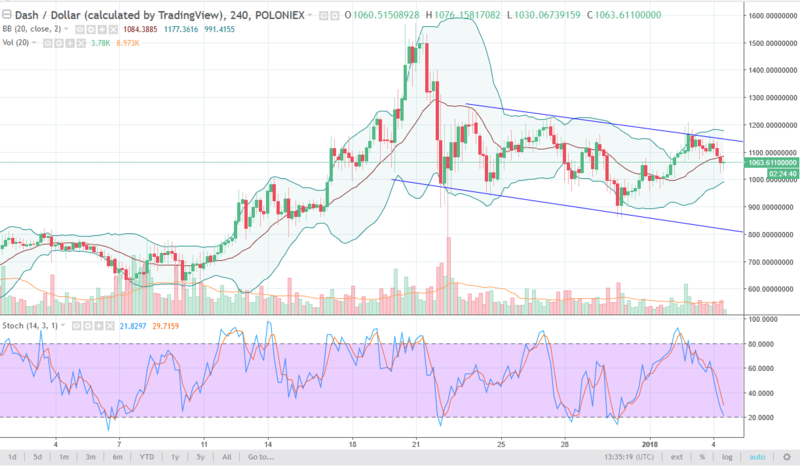 DASH continues to be a bit volatile, but we are underneath the downtrend line that makes the top of the downtrend in channel. If we can break above the $1200 level, the market could continue to go higher, perhaps reaching towards the $1400 level. If we break down below the $1000 level, then I think we go down to the $850 level. 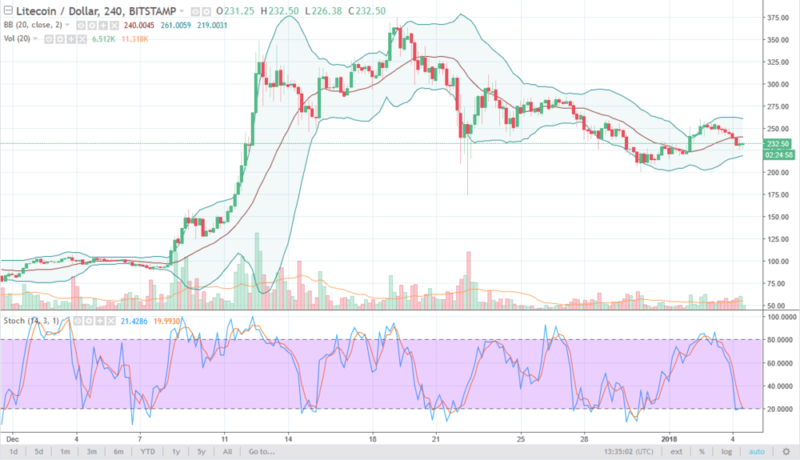 Litecoin fell a bit during the trading session on Thursday, but I think there is plenty support below at the $200 level to keep this market afloat. We may drift down towards that area, but right now I think the volume simply isn’t there, meaning that we are going to go back and forth.